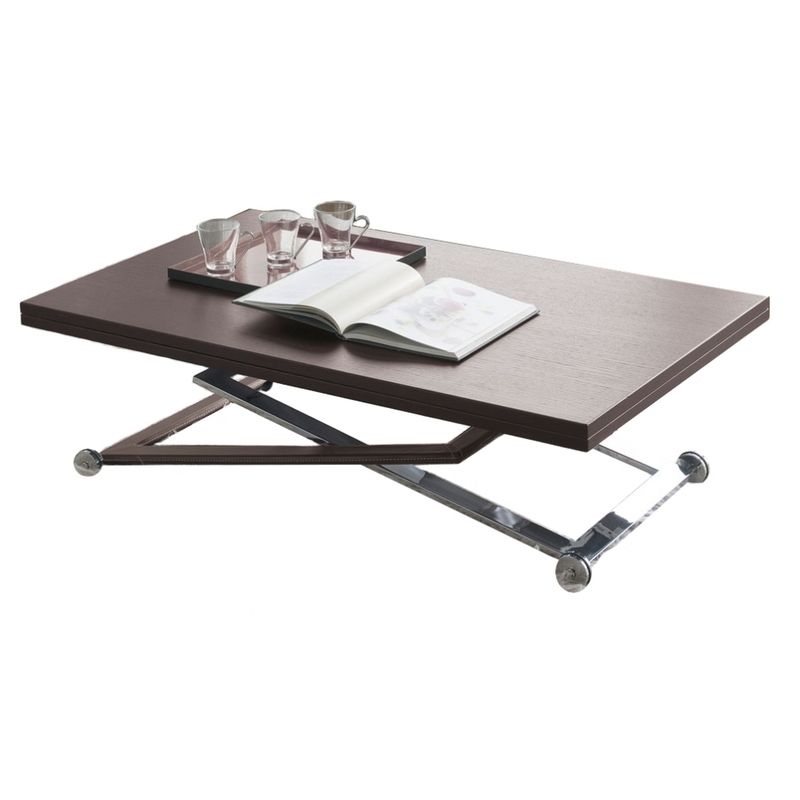 Folding and adjustable in height small table with piston gas system. Wooden top and partially hide leather covered steel frame. Punto is a table with adjustable height (with gas lift device) that can easily be transformed into a dining table thanks to the folding top. A creative idea solving any space issue.